Octopus system explores how people relate to space while being constrained by it while having the opportunity to adapt to it. 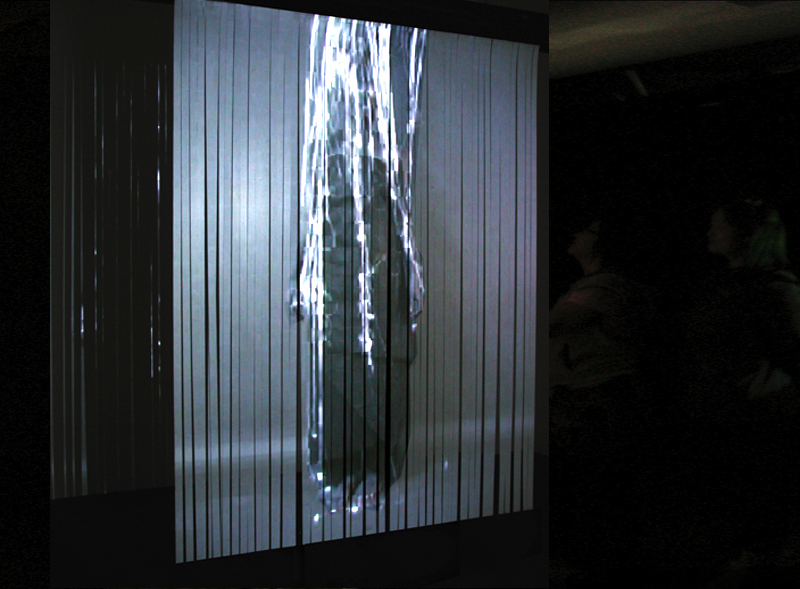 This installation consists of a virtual character projected onto a robotic sculpture that hold a see-through membrane of narrow vertical strips. Visitors can experience up to three modes of communication. First, there is a period of “construction” when the virtual character is completely concentrated to the fabrication of this own environment. During that period, it is impossible to directly interact or communicate with the character. 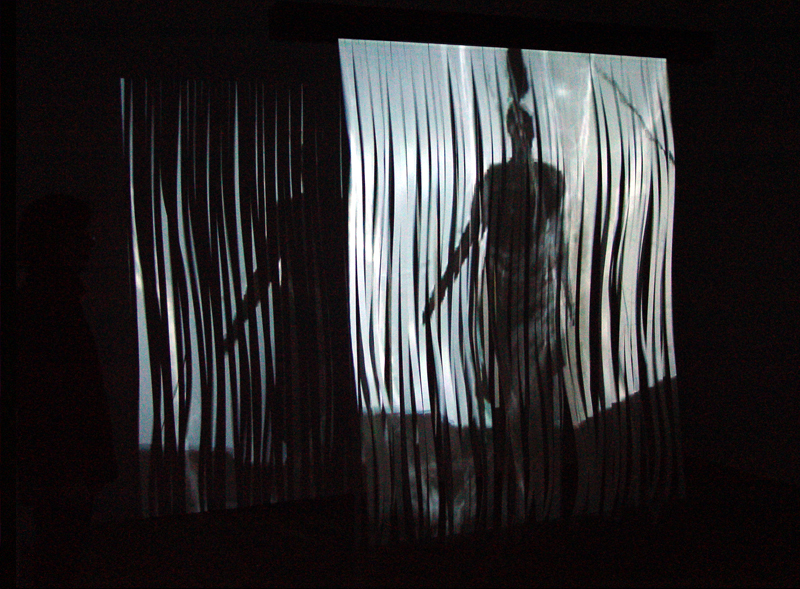 The second mode is the waiting period where the character is aware of what is happening in the gallery’s space. A network of sensors is placed strategically within space and the data is received by the infra-red sensors and is sent to the programming environment, which triggers the third mode: the reaction. 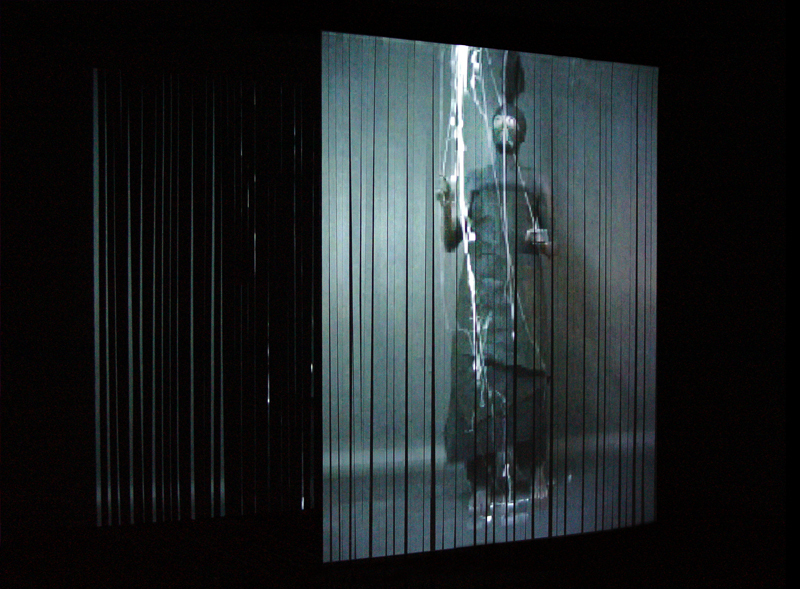 Related to the distance from the screen and position of the visitors in the room, the character can reacts in six different ways and the environment (its screen) responds to that sudden change. As the structure and character awaken, moving from a state of calm to agitation, the installation elicits reflections on the interrelationship between body, media, and space. 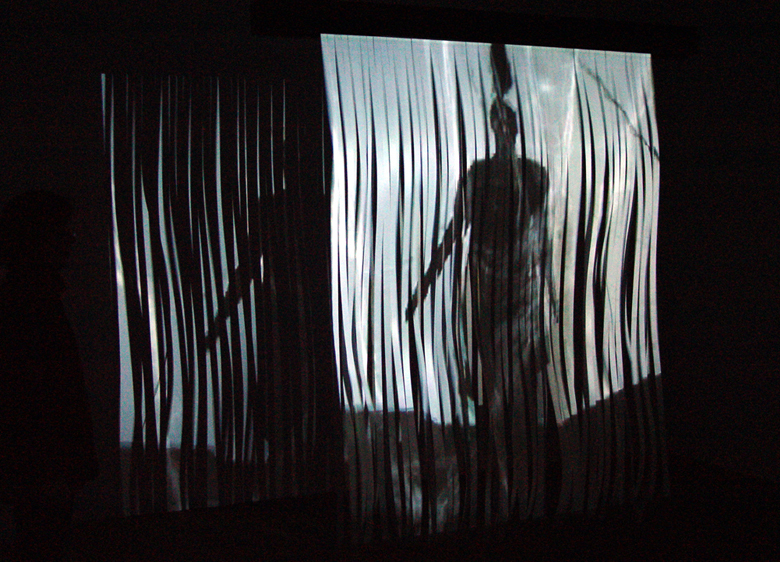 “As its struggle to free itself reaches a climax, the screen starts to move, swaying like seaweed in a strong current; creature and environment dance together as the figure shakes itself free only to become tangled once more,”1 states art historian Alison Syme. 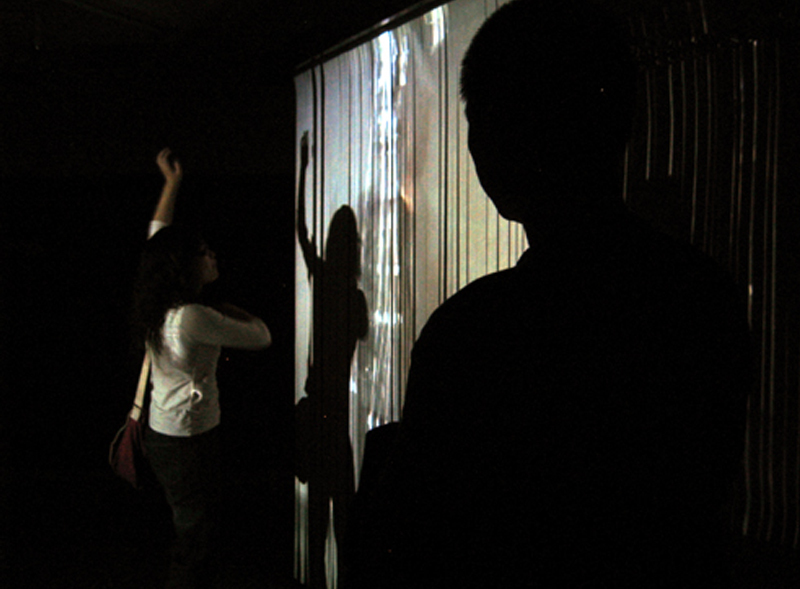 Julie Bouchard comments on its interactivity: “In Octopus, the individual only takes shape within space by incorporating the presence of the other in his movements, always remaining an emerging form.”2 This system was recognized for its innovations with the 2005 FICFA Judith Hamel Award in digital art as well as with the 2003 Prize of Excellence in New Media Art by the Hexagram Institute for Research and Creation. 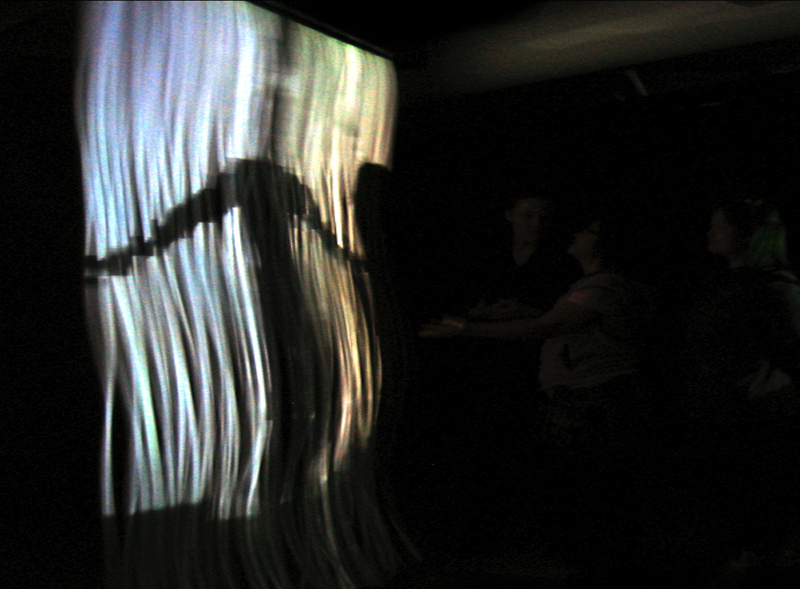 Represented by Group Molior, this project was exhibited at the Hong Kong Art Center in Hong Kong (2007), at the 19e Festival International FICFA in Moncton (2005), at the FILE – Electronic Art Festival in Sao Paulo, Brazil (2004), in the Oboro Gallery in Montreal (2004) and at the Society of Art and Technology (SAT, 2003). 1. 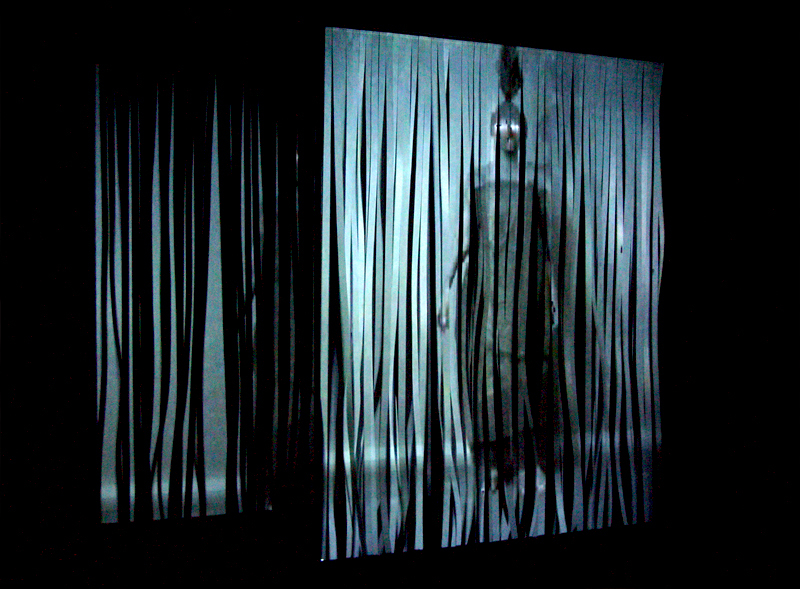 Alison Syme, “The Various Contrivances of Philomène Longpré,” Isomorphism, Art Interdisciplinary Field, March, 2012, 60-61. 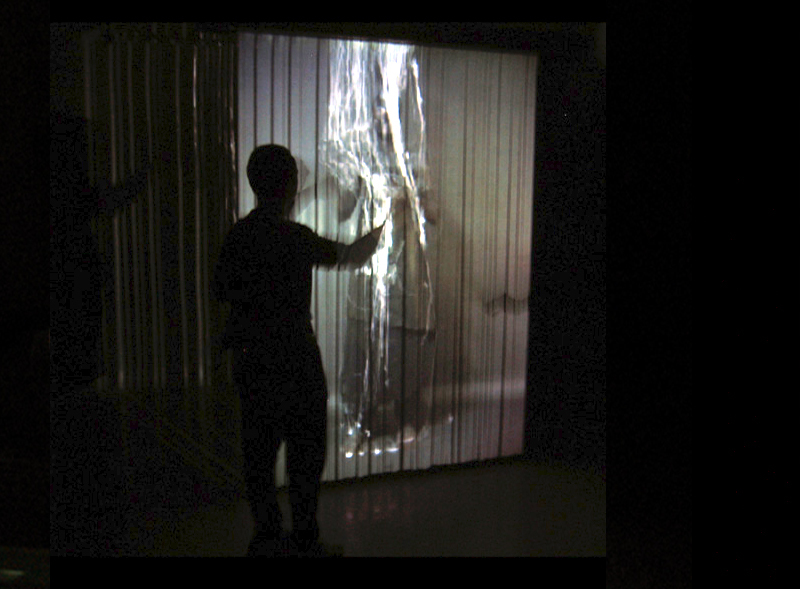 Archée, revue Cybermensuel Art, section critique, November, 2004.
speakers, wooden box, video membrane, DC motor, robotic structure (display). 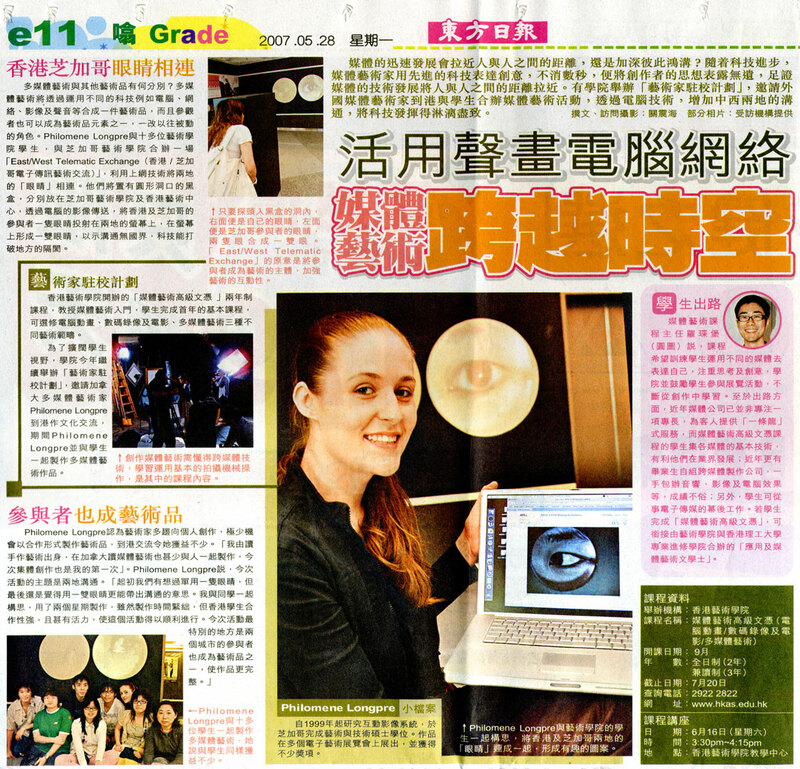 Prize of Excellence in New Media Art, HEXAGRAM Institute for Research and Creation. May 2003.
, Hong Kong, China. April, 2007. Promo 4.3, Festival Digital Art. SAT, Société des arts et technologie. Willis, Elena. “In One-hundred Words or Less- Octopus”. This Side. April 09, 2004. Exhibition Review Philomène Longpré’s Octopus By Crystal Dunham. Moncton, Canada. September, 2005.